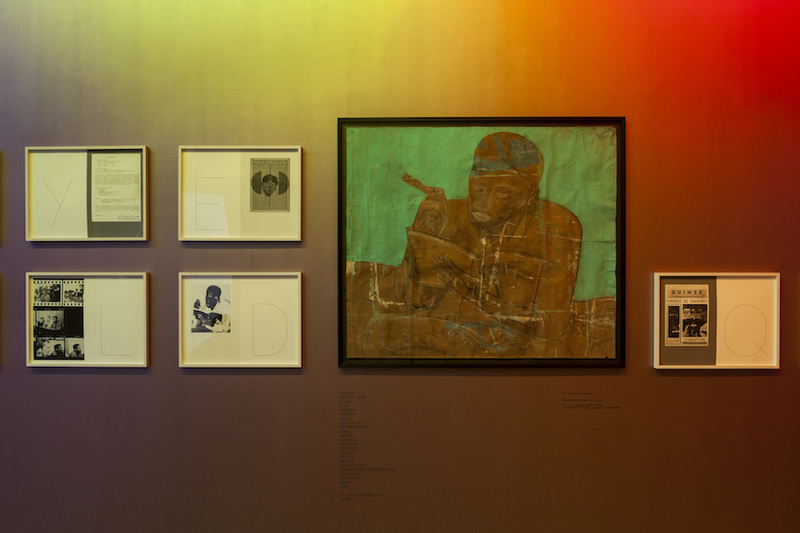 Vincent Meessen, Index, 26 framed prints and stenciled index, 2016 and Issa Samb, Omar Blondin Diop, pastel, ca. 1972. For his solo exhibition titled OK/KO in the Printemps de Septembre, Vincent Meessen present two works from his recent solo show at Wiels (Brussels) which are complemented by two new works produced by the Printemps. His presence in Toulouse is also the starting point for a future audio-visual production that will be premiered at the next edition of Le Printemps in 2018. In this framework, Meessen invited one protagonist of his future project, the american poet & performer Kain the Poet, to play live in Toulouse. Kain will perform in trio with Jeff Hollies (saxophone) and Percy Jones (drums) on september 24 at 10PM. The day after, Meessen will discuss his practice and the exhibition with the Printemps artistic director Christian Bernard.